Treadmills are available at any gym while the more versatile TreadClimber is rare. 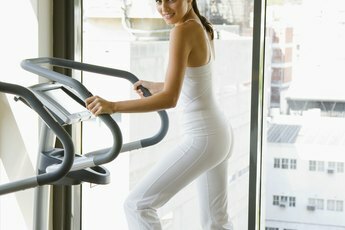 If you have a choice between using a treadmill and a TreadClimber, but aren't sure which one might be better for you to use, understand that each offers an effective cardiovascular workout. When combined with strength training, they can help you lose weight, tone your muscles and gain endurance. If you have joint issues with your knees or hips, then you should take into consideration some of their differences and accordingly customize a workout for your body. 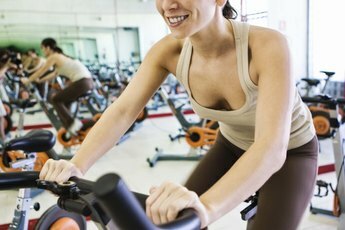 If you have a recent injury or joint pain, then consult a doctor before beginning any exercise regime. 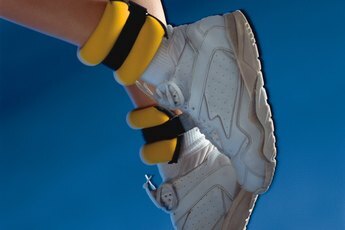 You should consider how much strain you are putting on your joints and how this relates to your workout goals. Ask yourself whether your goal to rehabilitate an injury or safely train towards a marathon, for example. Treadmills are an effective aerobic workout as they easily get your heart rate up for an extended period of time. Running on a treadmill does impact your joints more than a TreadClimber, and the impact is even greater the faster your speed. While not as readily available, there are low-impact treadmills that cushion your stride, thereby greatly reducing impact. 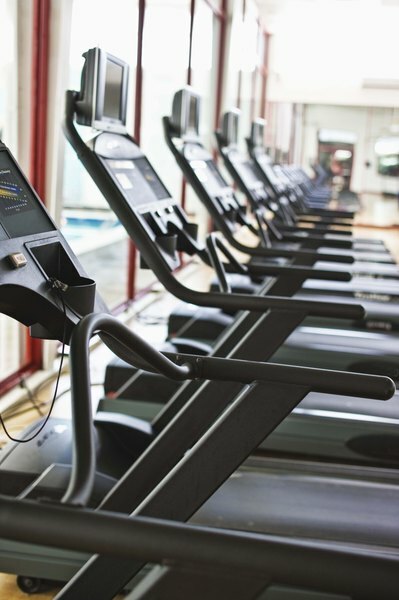 If your goals are to work towards a marathon or increase your speed, then using a treadmill is good option. TreadClimber are multi-functional machines that convert into a treadmill, stair climber or elliptical machine. 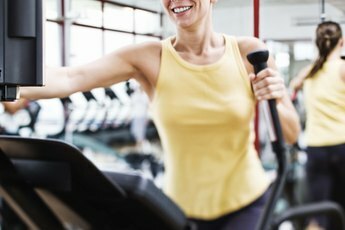 The elliptical machine is the most low-impact of weight-bearing aerobic machines and is the best option for those with joint concerns. Having three options makes the TreadClimber an excellent option for gently stepping into or back into aerobic exercise. However, it is not the best choice for those focused on running as the machine does not go beyond a jogging speed. When running on a treadmill, shorten your stride and bend forward at the waist slightly. These two moves shift the impact over your whole foot instead of just the heel and up the back of your leg. Always stretch before and after your treadmill or TreadClimber workout to warm up and loosen the muscles.